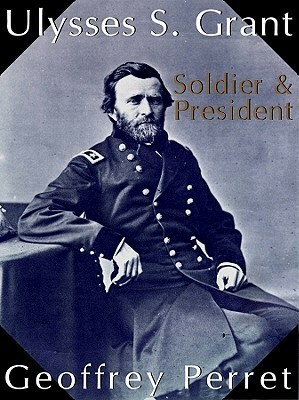 My second biography of the eighteenth president was “Ulysses S. Grant: Soldier & President” by Geoffrey Perret. An American historian and author, Perret published his biography of Grant in 1997. Also among his dozen published books are biographies of Eisenhower, JFK and Douglas MacArthur. No other study of Grant seems to elicit as wide a range of opinions as does this biography. Scholars universally deride Perret’s effort for its dozens of (usually minor) factual errors. Most casual readers seeking an informative and pain-free journey through Grant’s life, however, find this biography engaging and enjoyable. Perret, meanwhile, supplies the reader with a very nice introduction to Grant’s ancestry and childhood. 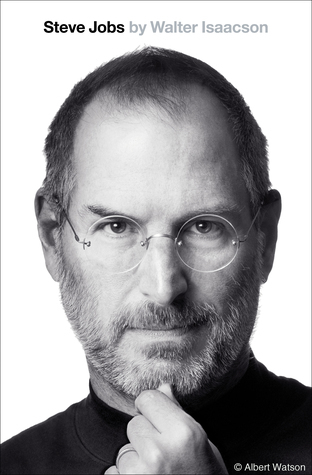 I learned far more about Grant in the early pages of this biography than I expected. And during these early chapters the author settles in to a literary style which is extremely descriptive and quite captivating. Relatively little of Grant’s life between his graduation from West Point and the outbreak of the Civil War seems exciting. Nonetheless, Perret manages to keep the reader entranced. And his description of the Mexican War (including Grant’s role in the conflict as a young military leader) was the most interesting account of that war I’ve ever read. The biography grows even more captivating with the outbreak of the Civil War. Perret’s description of the war lacks the precision and insight of a James McPherson analysis, but in these chapters Grant, and the book, are at their very best. Here the biography feels far more like the screenplay for a Jerry Bruckheimer movie than a history text. Not only is the reader treated to the Civil War from Grant’s perspective, but Perret also provides the war’s broader context – if not always on a national scale, at least on a regional one. All I missed was a more keen awareness of Lincoln’s deliberations and a more thorough understanding of the failure of Union generals fighting in the east. Unfortunately, Perret has a tendency throughout the book to postulate much that cannot be proven. He offers opinion and conjecture without making the distinction between what is known and what he merely presumes. An incautious reader might not realize this until it’s too late. And as exciting as the biography is to read, it is also riddled with hyperbole. One might not notice this tendency except that history, as told by Perret, never seems dull or tedious. It is a world where even spinach and brussels sprouts taste magnificent. Only once Grant is elected president does this change – even in Perret’s world the Grant presidency seems a bit lifeless. The author’s sympathy for Grant is never seriously in doubt, but rarely does his admiration for the general seem excessively warm. Toward the end of the book, however, Perret’s defense of Grant becomes more provocative. On more than one occasion Perret criticizes esteemed Grant biographer William McFeely, calling him too “disdainful” of Grant and, in effect, incapable of finding the true man. Although one can fault “Ulysses S. Grant: Soldier and President” for being too casual, occasionally too careless and possibly too irreverent, it provides an interesting and often valuable review of Grant. Historians may be appalled by a multitude of historical flaws but most readers will not notice, or care. Indeed, flawed though it is, Perret’s biography of Grant is brisk and effervescent and holds a reader’s attention like few other books of its size. I liked the McFeely book–I still felt tons of sympathy for Grant the man. His presidency was so full of hapless intrigue–not dull at all. Grant is such a good tragic hero. I don’t know how anyone couldn’t love him. The way Ferdinand Ward duped him in the end is one of the saddest moments in the man’s history. I nearly cried at Grant’s brokenness and humiliation.